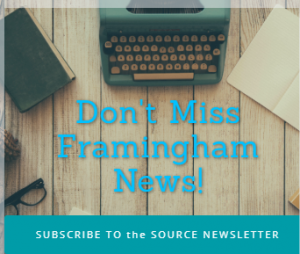 SPRINGFIELD – The Framingham State University volleyball team trailed 8-5 in the final set before rattling off a 10-6 run to close the match and defeat Western New England 3-2 in non-conference action Thursday evening at the AHLC in Springfield. The Rams defeated the Golden Bears 3-2. Game scores were 25-21, 19-25, 25-23, 16-25, 15-11. 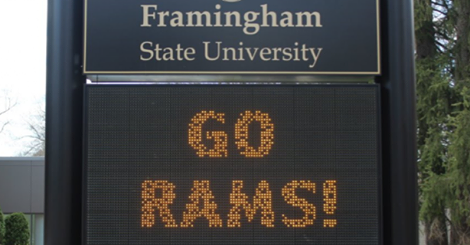 Framingham State improves its record to 5-3. The Bears are now 1-8. The Rams were led on the attack by 17 kills from freshman Brandee Thomas. She committed just two errors on her 33 swings for a .455 hitting percentage. Sophomore Grace Caughey narrowly missed a double double with 14 kills on 39 attempts and nine digs. Sophomore Brandey Rodriguez added 11 kills with an ace. Senior Mackenzie Whalen added four kills, 45 set assists and 17 digs, while junior Deirdre Fay added three kills and 12 digs. The Golden Bears were led by 16 kills apiece from Kierah Parker and Ashley Matthews. Matthews finished a double double with 12 kills. Kiana Turner led the back row with 17 digs, while Jenna Ferguson added 13.